Sojourn Cellars purchases grapes from some of the best growers in Sonoma - a "California Negotiant", if you will, though they vinify all their own wine. 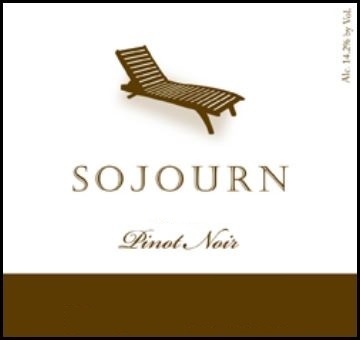 Regular visitors to my shop are no stranger to Sojourn Cellars - they provide consistently high quality at reasonable value (market rates for top-notch Pinot are high - an average of $42+, but Sojourn's wines are moving to the next tier - around $65-$80 - I can see where they're going with their brand) So in comparison, this is a relative bargain. A rich, generous style of Pinot, with a relatively high alcohol level of 14.2%. The vineyard sits high on a ridge in the heart of the Petaluma Gap, where it is exposed to the wind and fog that fairly define this cool climate area. Mark my words, Petaluma Gap will develop into one of California's top AVAs for cool-c;imate grapes like Pinot. The Pommard clone provide the foundation for this wine, with clone 777 adding a layer of bright fruit and lush textures. 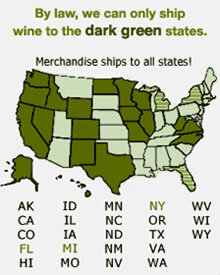 Look for aromatic notes of earth and mushroom. Fifteen percent of his wine was whole-cluster fermented for additional complexity with a bit of earth/vegetable/stem character on top of the usual sour cherry. The finished wine was aged in new oak barrels from the Bertranges forest near Nevers, France, selected for their addition of earthy, umami nuance that amplify these same characgteristics of the Pommard clone. The 2014 growing season began very early with winter drought conditions leading to early bud break and one of the earliest harvests on record. March rains fueled the vines and moderate summer weather allowed the grapes to develop at an even pace. We began picking in late August as the grapes achieved optimal ripeness. All of our Pinot noir grapes were picked by the end of September. Thicker skins and even ripening conditions resulted in balanced, complex wines of depth and nuance. In 2014, we whole-cluster fermented 15% of the Rodgers Creek Pommard clone, adding aromatic complexity and verve. We emphasized the use of new oak barrels (50%) made from the Bertranges forest near Nevers, France, which tends to offer earthy umami characteristics that enhance the earth and mushroom notes of the Pommard clone in this wine.